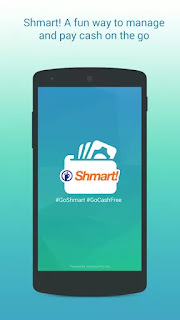 Shmart Wallet is one of the popular app which allows us to do our prepaid, postpaid recharges, DTH recharges with lot of offers and cashbacks. You can use Shmart Wallet to make payments, manage cash transactions and money transfers in a safe and secure way. You can send money to your dear ones instantly using Shmart Wallet. Now Shmart Wallet has come up with the following 2 Wow offers. 1) WowPay Offer for postpaid customers. 2) WowCharge for prepaid customers. WowCharge Shmart Wallet Offer Details - Get Shmart cashback offers for every successful prepaid recharges you made through Shmart. Offer Period - 6 Nov 2015 - 8 Nov 2015. Recharge Amount between Rs.100 and Rs.199. Recharge Amount between Rs.200 and Rs.299. Recharge Amount between Rs.300 and above. WowPay Shmart Wallet Offer Details - You can get 15% Cashback on postpaid recharge and DTH recharges worth Rs 250 and above. Maximum cashback - Rs.75 per transaction. Download latest version of Shmart App from Google Play. Cashback offer might not work in old version of Shmart App. 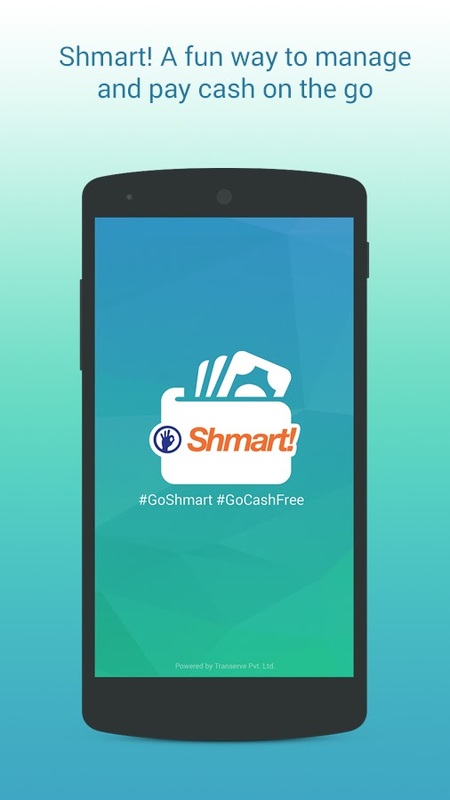 First add money to your Shmart wallet and use it to recharge to get cashback. Do not use online mode of payment to recharge. You might not get Shmart cashback. Valid only for new users who has done registration from 6th August 2015. Valid only on successful prepaid mobile recharges/postpaid bill payments/DTH for a minimum amount of Rs. 200 (Rupees Two Hundred Only). Valid for 5 (five) transactions per user during the entire offer period. This is with effect from 9th August 2015. Valid only for customers holding a valid and active Shmart Wallet account. Valid only on successful transactions conducted through Shmart wallet. Not valid on transactions done through Payment Gateways (Credit Card/Debit Card/ Net Banking) and Hybrid (Wallet + Credit Card/Debit Card/ Net Banking) even if the amount is equal to or greater than Rs. 200 (Rupees Two Hundred Only). Only approved and validated spend/transaction/payment/purchase made using Shmart wallet shall be eligible for the Shmart Wallet offer. Failed/Cancelled/Returned transactions shall not be eligible for the Cashback offer. Clubbing of any Shmart Wallet offer is not be permitted. Valid only on the transactions conducted in India and in Indian Rupees. Cashback might not be made instant and would be credited only within three working days after completion of the successful transaction. In the event the Customer has reached a Shmart wallet loading limit of INR 10,000 (Rupees Ten Thousand) in any particular calendar month, then the Cashback amount will be added in the subsequent calendar month. In the event of Failed/cancelled/Returned transaction, the corresponding value will be deducted from the paid amount while checking eligibility of Cashback. Shmart Cashback amount will be directly credited to the Customer’s Shmart wallet. Shmart Wallet offer is non-transferrable to any other person.